The winter holidays are the hardest on our bodies, skin, and hair. First off, we eat ...a lot! We tend to sleep less, stress is ever present during the cold winter months and holidays, and we tend to slack on the healthy choices department. Needless to say, our body, skin, and hair tend to suffer during these months. It’s important to remember to take care of ourselves, keep a positive outlook, and pay attention to our emotional well-being as well. Healthy diet choices are hard because it’s easy to lose track of the important parts of healthy meal planning. Fried food, fats, and sweets can not only take a toll on our weight, but can also make our skin and hair look sallow, limp, and unhealthy. Fresh, local foods are the healthiest options when you can manage it. If you’re travelling, look at the healthiest food choices that you have at your fingertips and choose wisely. Sleep and stress can go hand in hand. When we stress, it’s hard to get a good night’s sleep thinking about all we need to accomplish. And when we cannot sleep, we don’t have the energy during the day to have patience or good problem-solving skills which makes us stress all that much more. It’s a vicious cycle and it’s important not to get caught up in the stress of the holidays. Your skin and hair will definitely start to suffer with lack of sleep or stress, so take a few minutes of “me” time each night. Make sure you’re cleaning your face each and every night, adding a good moisturizer to your skin, and giving your hair the care it needs to look healthy and supple. 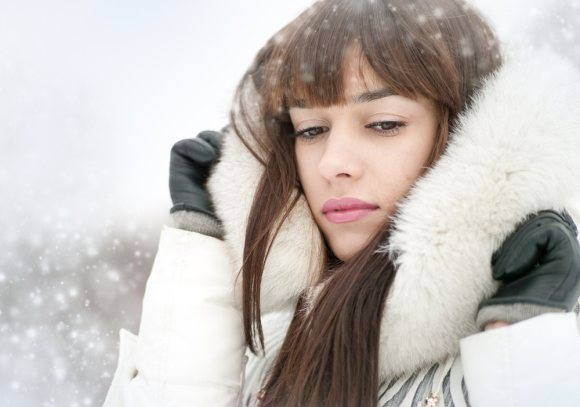 Not sure what hair care to switch to during the winter months? Our professionals at Untangled Salon can give you the best hair care products to meet your hair type needs. We can also offer keratin treatments to give you a boost to carry your hair through the winter months. Make an appointment today with one of our professional, highly-trained stylists at Untangled Salon. You can find us at 19924 Jetton Road, Suite 105 in Cornelius. To schedule an appointment, just give us a call at 704-895-9300 or send us an email at info@hairuntangled.com. Prefer to schedule an appointment yourself? Use our free mobile app. You can download it for free at the AppStore, on Google Play, or Amazon.